Garlicky and bold, this rich , easy aubergine recipe is fabulous for parties, serve it on toasted bread and your guests will ask for seconds. Almost a year ago, my kids asked me to watch Dr Who series. I had no idea what is this show all about, so I headed to imdb and could not find the rating for this series and after a little search in the local library, I decided to hold the series from the late 60s and 70s just to be safe, if you know what I mean. For them to watch the old movie tricks, the green screen and the so obvious cinematic techniques and tricks, it was a real torture and a pain in the …. you know what. Those kids are way way ahead of me. I remember watching my favorite shows in when I was a little kid like, The incredible Hulk OMG I remember how excited I was when he turns green , Knight rider was one of my favorites too, and Mark , probably was my first crush followed by MacGyver <3. Probably my kids will give me that look again if they saw those series I am talking about. Anyways this is how my generation was and I am proud of that wheather they liked it or not ^-^. It is really amazing how fast technology is developing and I think I have to run fast to catch up with my kids. 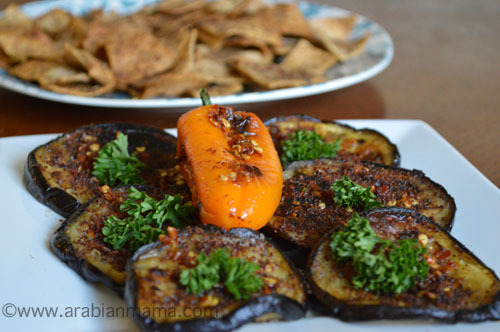 Today’s recipe is a traditional Middle Eastern appetizer with a healthier twist, to match with our speeding world, as we need to take better care of ourselves. 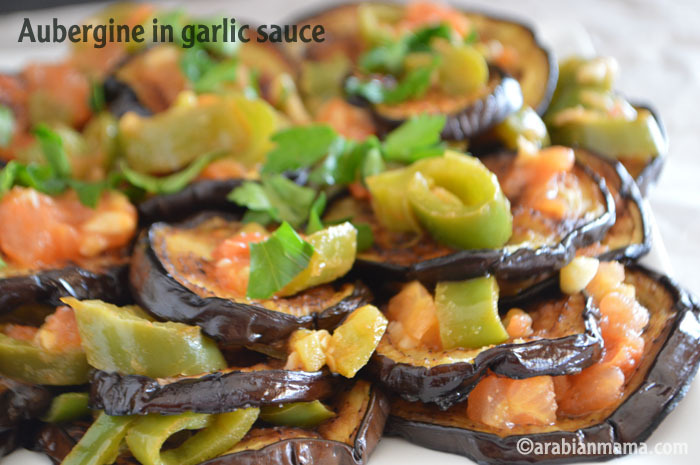 My mom used to make this ages ago and still is, she used to make it for my late father as he loved eggplants a lot. 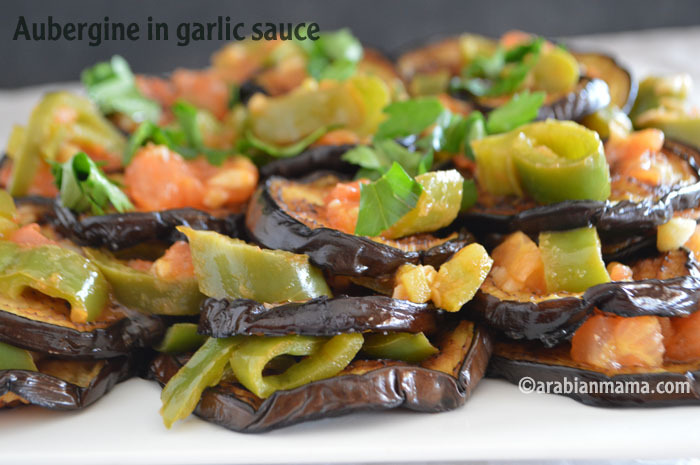 My hubby likes it too and i hope one day my kiddos will, so for his sake and yours I’m not deep frying the aubergine, as the traditional recipe calls for, instead I’m trying a new way to cook my aubergine so as to make it as close as possible to the deep fried one. I’ll stop right here for today, leaving you with the recipe in detail and hoping for a good one for all of you. 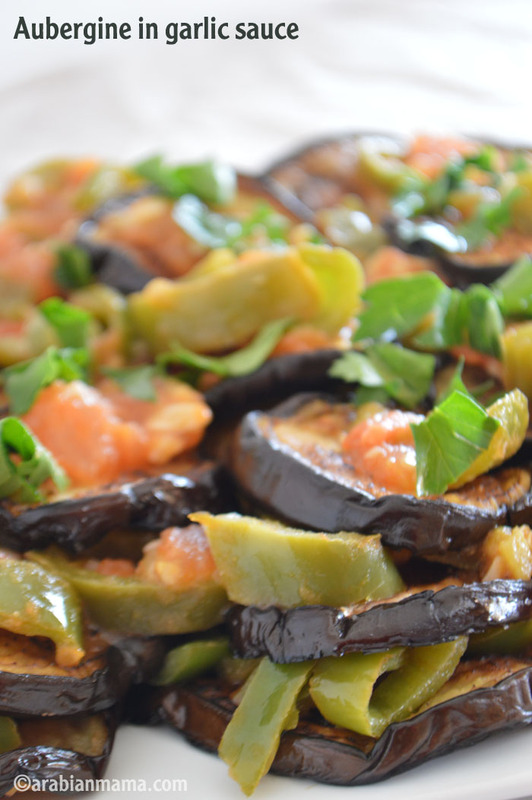 A healthier twist to the traditional aubergine appetizer. 1 Tbs minced garlic- about 3 large cloves. 1 medium green bell pepper- diced. Optional : Hot peppers for more flavor. 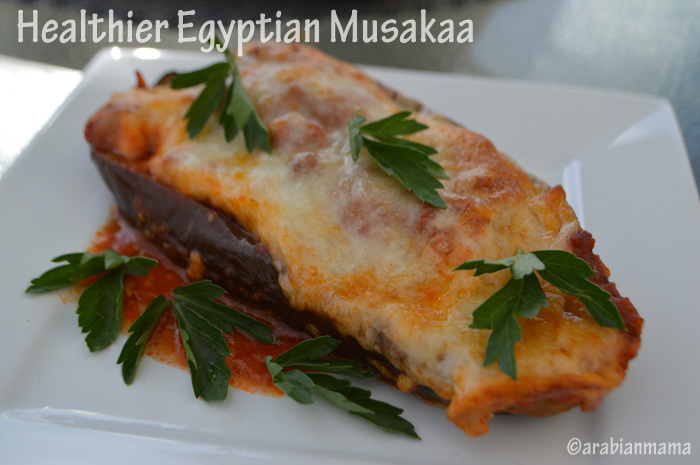 Slice the aubergine and do not peel. 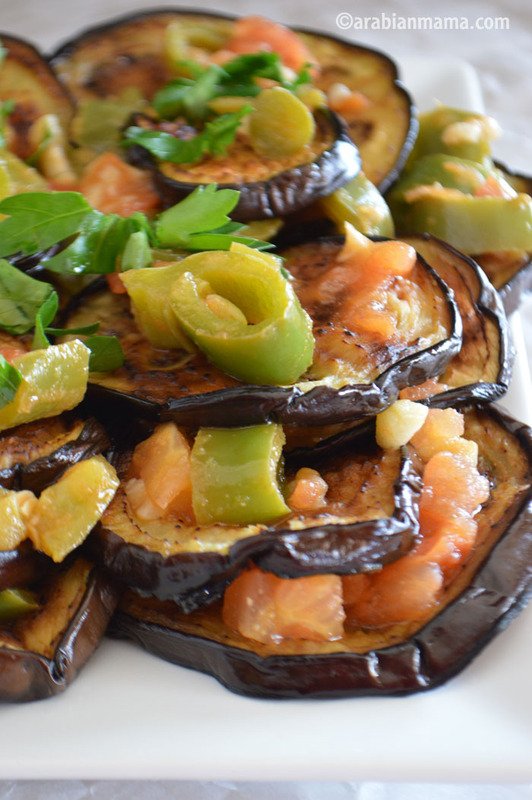 Heat a pan over medium heat and place the aubergine slices 2-3 minutes each side without any oil yet until it is light brown. Brush the sides with olive oil and cook for one more minute or until it reaches the desired color. Set aside and sprinkle lightly with salt. In the same pan add 2Tbs of olive oil, then saute the garlic until fragrant. Add the diced peppers and tomato and stir for couple of minutes. Add the vinegar, salt and cumin, reduce heat and simmer for 4-5 minutes. 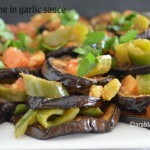 Layer the aubergine with the sauce in between and top with more sauce. 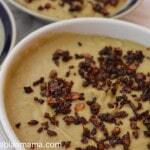 Wait at least for 3 hours before serving so the flavors are well absorbed. Enjoy hot, cold or at room temperature over a toasted bread is recommended. 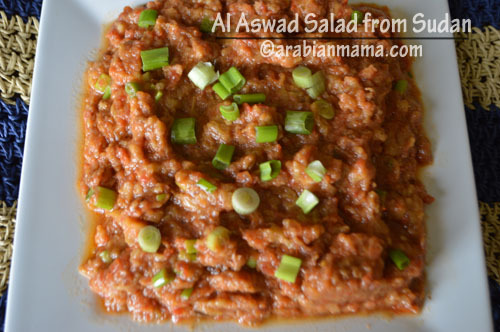 I like this one, it’s more like light salad, rich flavor unlike the authentic oily ones. I love fried egg plant, but don’t do it too often because of all the oil. I usually roast it instead, but like your method — need to try it. Lovely dish — thanks. Happy New Year! Great video! I’m always looking for healthier alternatives to classic, delicious dishes, and I love what you did here. Thank you for sharing your method! 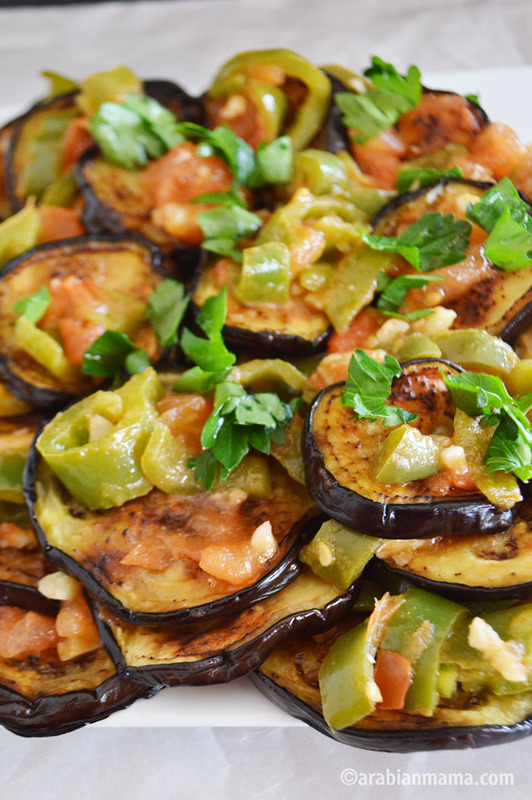 I love your healthier version of this delicious eggplant dish! Such a great sauce! What a lovely dish, Amira! I know… I loved McGyver and Superheroes as well. I have never watched Dr. Who but one thing is for sure, kiddos nowadays seem to have a different taste for movies. Wishing you and your family a very Happy New Year! I watched all those shows you did, and started the Dr Who but the new stuff. 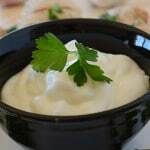 great recipe, anything in garlic sauce is delicious.